It has been confirmed that many of the upgraded Veteran Rank Armor pieces don’t match their intended look. Instead, they’re currently appearing as lower level armor. Good news, everyone! We actually found an issue with the Veteran Rank gear which was, indeed, making them appear like low-level armor. This will be fixed in our next patch. The regular ESO maintenance times for the EU megaserver have been changed due to player feedback. Shadowfen Quest achievement and some other achievements will be fixed in the near future. Players will receive previously missing achievements retroactively. Nightblade – We have many fixes coming to the Nightblade in our next patch, including fixes to abilities and passives that weren’t working properly, and adjusting the responsiveness in high-intensity combat. We’ll continue to monitor the Nightblade after we push these fixes live. Weapon Swapping – We’ve seen your feedback that weapon swapping lags during combat, and we are currently testing a fix that significantly improves the responsiveness. As this is caused by a number of different factors, we want to be confident in the change before pushing it live. Useful Potions and Alchemy Reagents in ESO – A compilation of the very best potions available in Elder Scrolls Online. Blessed Crucible Dungeon Guide – A dungeon guide for normal mode Blessed Crucible. PTS Changes: Hireling Alts made redundant – A list of recent PTS changes, one of them completely changing the way hirelings work in ESO. 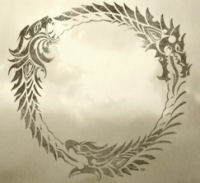 ESO Console Release Delayed – The ESO console release has been delayed. Selene’s Web Dungeon Guide – A dungeon guide for normal mode Selene’s Web. Blackheart Haven Dungeon Guide – A dungeon guide for normal mode Blackheart Haven. We have also been quite busy working on a major site feature, which will be released VERY soon! In our excitement, we mistakenly tweeted earlier that Craglorn is coming tomorrow when it is not. Our sincere apologies for the confusion!